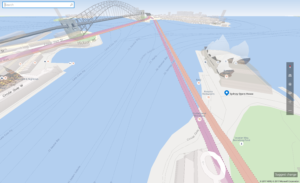 Have you seen what you can do in Microsoft Maps? Microsoft Maps comes installed on your PC. I was sitting at some training at Microsoft last week and Steven Payne did a quick demo of this great tool! 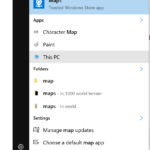 If you are using Windows 10, to find it simply click on your windows button and then start to type maps. You should see the Microsoft Maps icon appear. If you have a PC with a touch screen enabled you can click on the draw with touch icon in the top right hand corner, and then choose the measure distance icon. Note, if you don’t have a touch screen on your computer, you can just use your mouse. Draw with your finger the route you would like to take, the perimeter around a building or direct line from one place to another. The distance is automatically calculated for you. Have the students enter the data collaboratively into an Excel doc or Google Doc and then graph the results. They could graph the difference between their estimate and actual, average the class difference and so on. You can use Google maps to conduct a similar lesson, however the touch feature inside Microsoft Maps on a PC is so easy to use! I love in the settings menu, you can turn on speed warnings. These are displayed when you are using Microsoft maps for driving. There is 3D city views and street views. The street views seem to load a bit slower than Google maps but the 3D views are really nice. See below. There is also a ruler feature in Microsoft Maps that allows you to rule straight lines or measure the distances from 1 point to the next. I’d be interested to know how you use Microsoft Maps.